I am so excited to share with you all a new superfood called Prana Proactiv Chia.Special thanks to dvCommunications Inc. for given me this wonderful opportunity to try this. Here is a quick review + an easy simple recipe for you all! 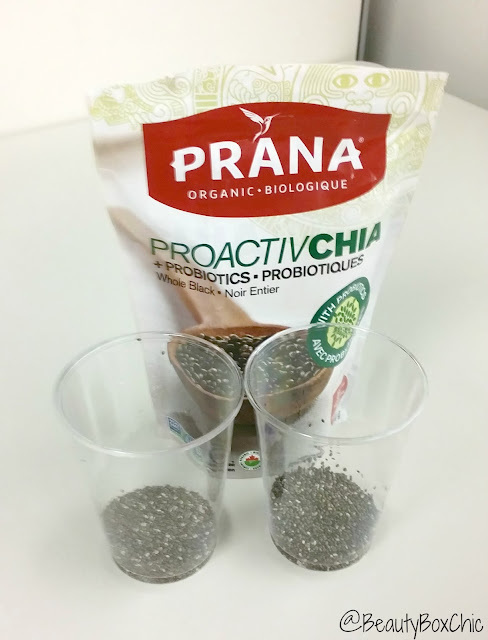 Prana Proactiv Chia is introduce in the market by Prana Biovegan Inc, this company is an importer and manufacturer of organic nuts, seed, dried fruits and snacks. 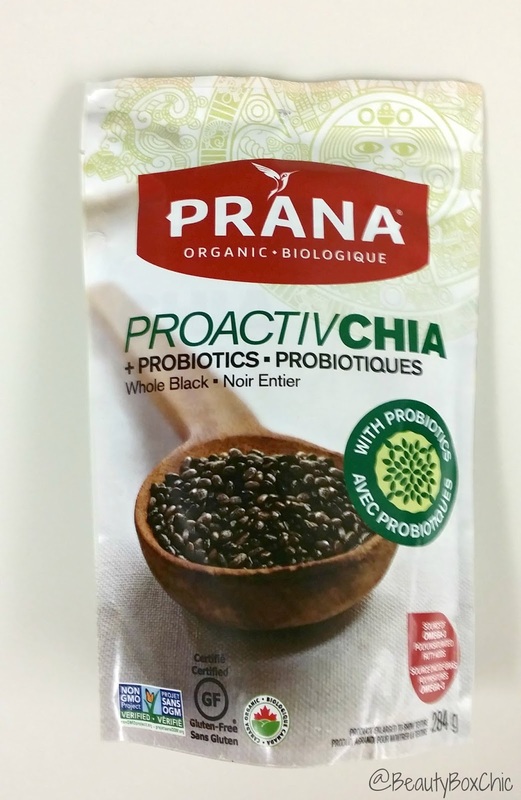 They also recently introduce this new triple threat super food called Prana Proactiv Chia . 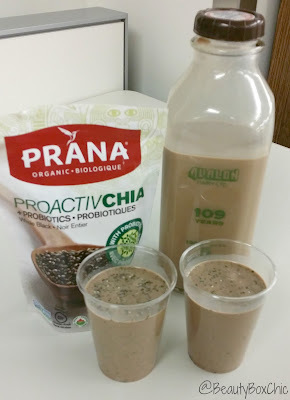 Prana Proactiv Chia is combination of chia seeds with probiotics and essential vitamins + minerals!!! How to purchase Prana ProactivChia? 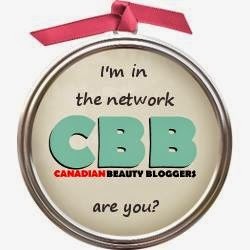 You can purchase online, supermarket and at your local natural food store across Canada!! Click Here for more information. - Does not come with a measuring spoon, you have to purchase your own measuring spoon. 3. Make sure they are evenly mix. After mixing, leave the mixture and let it seat in the fridge for about 40 minutes or more until it becomes the consistency of tapioca. 4. Tops in your favorite nuts, dry or fresh fruits and Enjoy!!! This is my first time trying ProactivChia and incorporating it into my daily diet, i am in love with this new superfood!! 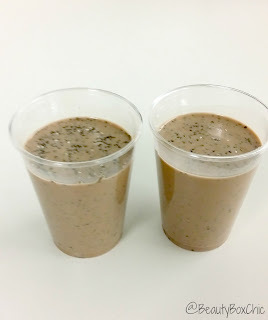 It is a great way to add into my daily breakfast routine and use it to make pudding, overnight oatmeal, smoothie , breakfast bowl, it all taste amazing!!! Additional recipe ideas can be found on their website, click here for more details. I also really like how ProactivChia is organic, vegan and gluten-free friendly, it is great source of Omega 3 and 6, plus it has over 4 billion live probiotics in every one serving of ProactivChia!!!! I definitely do recommend checking them out, I really enjoy this new triple threat superfood :) . 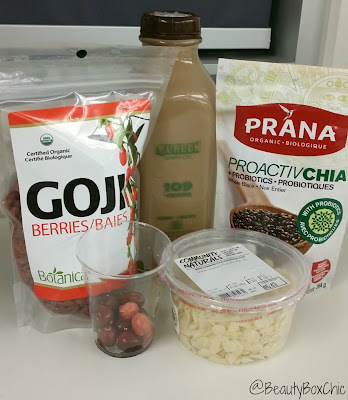 What do you think of Prana ProactivChia? Will you give it a try? Have you try Prana ProactivChia? I like that ProactivChia is organic, vegan and gluten-free. The pudding is not only healthier for me, but it looks delicious, too. There was a time I was totally freaked out by the whole Chia seeds craze. And then I tried them. Now I blend them into every breakfast smoothie I make so they're nice and smooth and the texture doesn't freak me out. At first I was a little iffy and on the fence about this recipe and then I started thinking of the makeup and it sounds delicious. Not to mention, I could definitely benefit from something that is going to pump probiotics and needed vitamins and minerals into my system. It looks pretty tasty too! This looks good! Chia seeds are so good for your health. I have never had Chai seeds before! This sounds like an easy to make recipe to try the Chai seeds in! I've never tired this before but have heard that Chai seeds are good. I'll have to give your recipe a try soon. I'd definitely be willing to give it a try. 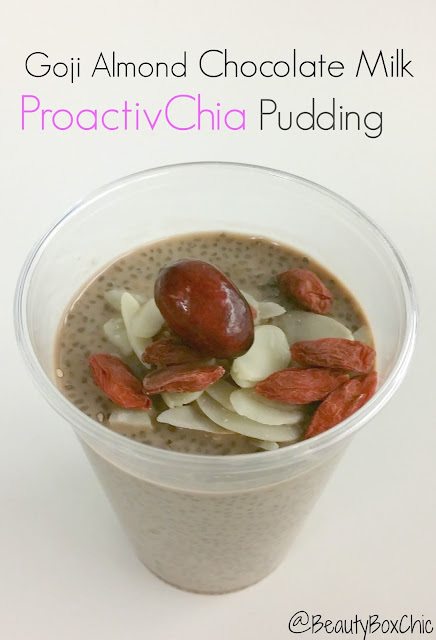 I'm using chia seeds in a lot of things these days! 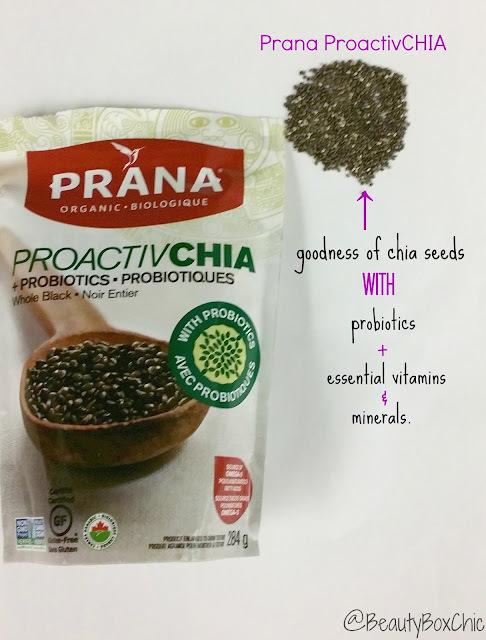 I've never tried Chia, but they sounds great! I will definitely try out your pudding! This looks so yummy! 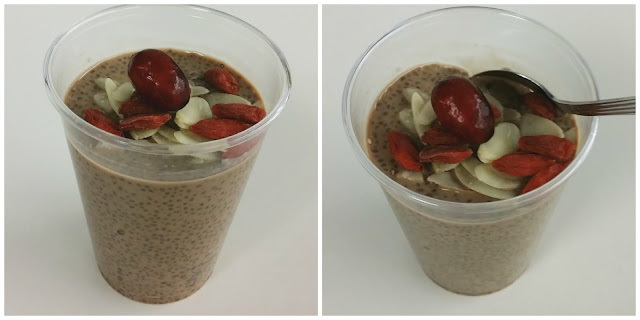 I am gluten free and love Chia seeds! I heard about Prana as a great healthy product. It’s great to know it has probiotics for healthier tummy. This looks really good. I love adding Chia seeds to all kinds of stuff. I will have to check out Prana. I've heard good things about chia seeds, and this product sounds like it is jam-packed with a lot of added benefits. I haven't personally seen this at the health food store yet. I put chia in everything I can, it's great for you and so many health benefits.